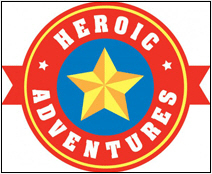 Heroic Adventures in Edwardsville, IL is currently our regular meeting place. Board game days are open to the public and everyone is invited. All you need is a good attitude and a willingness to learn. All games are taught before play; so there is no barrier for any casual board gamer. Make sure to mention Atomic Squash when you by games at Heroic Adventures so we can keep our play space. Special thanks to them for hosting Atomic Squash. Atomic Squash © 2019. All Rights Reserved.